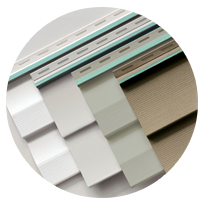 At Window World of West Michigan, we’re proud to offer you several options when it comes to replacement vinyl siding for your home. Whether the exterior of your house simply needs an update or a refresh, or if it’s absolutely necessary for the safety of your home and your family to replace your siding, we’re confident that we have a product to fit your needs. We how much you care about protecting your home and saving money. Our Prodigy® Insulated Siding will do just that and more. Equipped with Single 7, D6 Clapboard, D5 Dutch lap, the Prodigy® brand provides you with unique energy-saving technology and state-of-the-art insulation. 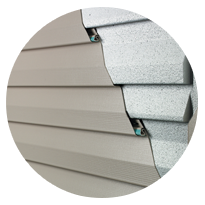 Engineered for efficiency, our 4000 Energy Plus Vinyl Siding’s premium 1-1/4” thick contoured insulating underlayment will keep your home protected and insulated against some of the harshest elements. This siding has a Perm Rating of 5, which means it successfully repels moisture, allowing your exterior to breathe. 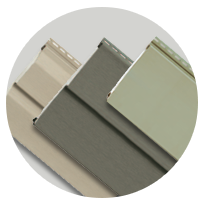 If you are looking for the most advanced technology for durability, our 4000 Reinforced Vinyl Siding is right for you. It’s advanced locking system enables it to withstand the strongest, most severe weather which includes category 5 hurricanes. Our 2000 Vinyl Siding is ideal for those who want to up their curb appeal without breaking the bank. 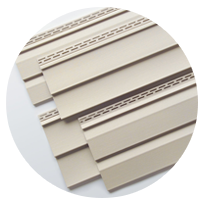 This siding’s premium .044” thickness and durable lock design keep your exterior smooth, straight and easy to maintain. Save on routine upkeeps by simply washing it down with a hose every now and then to keep it looking crisp and clean.